Like they say, its all about the location. And at Performance Kitchens & Home, we couldn’t be prouder of our very special location. Our 3,500 square foot, award-winning showroom in the heart of downtown Manayunk is in the center of everything that this forward-thinking Philadelphia neighborhood has to offer. From the restaurants to the arts and cultural festivals, Manayunk is a center of gravity for Philadelphians who appreciate what better living can bring. This a big part of the reason why we chose Manayunk for our showroom and corporate headquarters over 40 years ago. Not only was it important for us to choose a location that embodies the best in design and culture, but we needed the right environment for our designers and the kitchens they create to thrive and practice their art. When you visit us you will see what we mean. In our first floor showroom we have multiple full kitchens, cabinet and pull-out selections, and relaxing conference areas so you can discuss the vision you have for your new kitchen with our expert designers. While you are in our showroom you will be able to compare cabinet styles, wood and finishes, discuss how the appliances you want will work with different cabinets, and compare pricing across a range of selections. Although our designers work with clients on an appointment-only basis, we would love to have you stop by to explore our showroom and meet our design team. Don’t be surprised if you find some remodeling going on when you visit our showroom. As with the kitchens and other home spaces that we are known for, we are always updating our look in a quest for perfection. On our second floor is our design studio where you can see our team working together as a synchronized team. 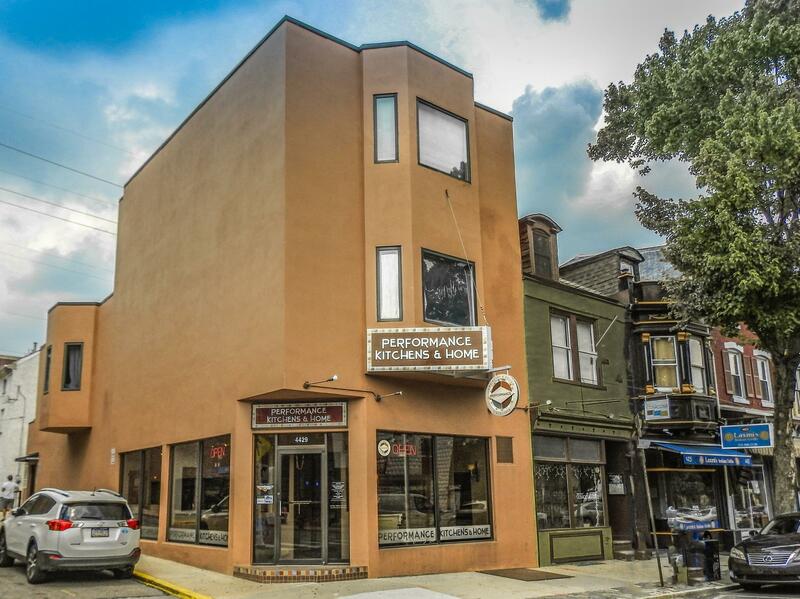 Make an appointment or stop by today at 4429 Main Street in Manayunk. We would love to meet you and show you how we can create the kitchen of your dreams. Free parking for our customers when visiting the showroom.